Transform your eCommerce store into a full-fledged marketplace. 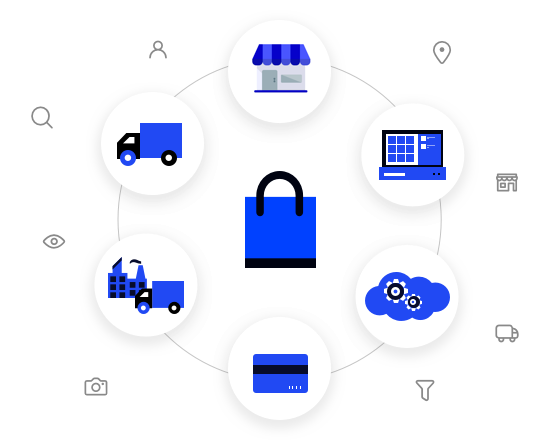 With Multi-Vendor Marketplace, encourage merchants from diverse categories to sell products from a single storefront, increase product offerings, provide better customer selection and enhance your sales. 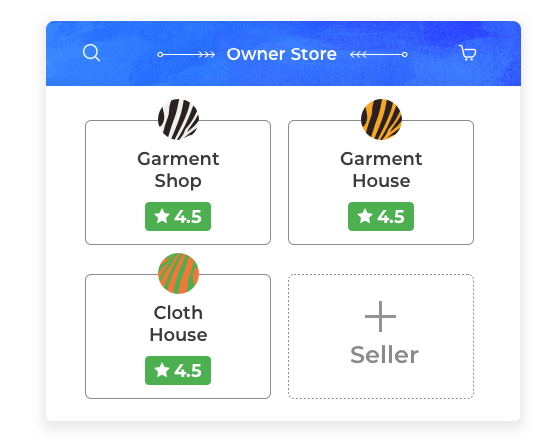 Allow multiple vendors to sell the same products with different price and stock units and let your customers see the same products as offered by various vendors with respective price and ratings. The admin can create a Seller Central where user will have a seperate Seller Registration page. The user who want to become a seller can register from here. Huge Feature for seller and admin with customer checkout all one by one. Admin can easily configure inventory settings in the multi-vendor marketplace. To keep the products well stocked, they can either manually upload the vendor's products or allow vendors to upload their own products. They can also enter a low stock quantity so as to send the low stock notification to sellers. Attract sellers to sell on your stores by providing fixed or per cent based commission rules. From a dedicated dashboard, you can manage all the seller's commission from one place. It would be useful to allow certain vendors to have their products auto-approved so as to get their products on the marketplace. Admin can review the products uploaded by the vendors and set either manually or auto-approval for the products. Admin can easily see the list of sellers with assigned products and even assign the products to respective sellers. This allows the customers to get a brief comparison of the same product sold by different sellers and make a better choice amongst them. 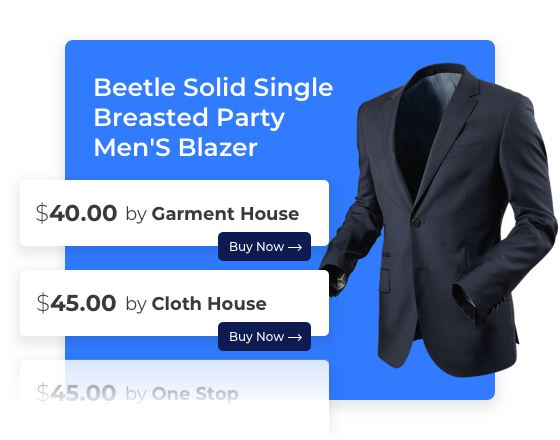 Sellers can easily manage their orders from the dedicated dashboard. They can check full details of the order along with the status and manage all the functions related to the order from one page only. Now you can easily provide an option to the buyers to post reviews for a particular seller. Seller overall review and rating will be displayed on their profile which gives the buyer to choose sellers based on positive reviews. Bagisto Marketplace provides an intuitive dashboard from where the seller can easily view their income, payouts, order details, latest comments and reviews. The reports are easily presented in a graphical format for easy understanding. 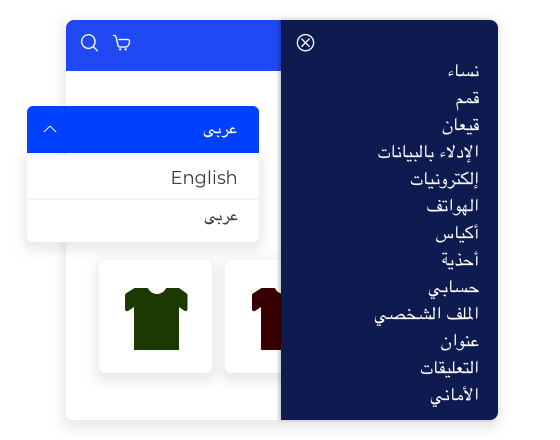 Sellers on Bagisto Multi-Vendor Marketplace have an added advantage to attract customers by generating trust and keeping everything transparent between them and customers by displaying return and shipping policy, providing shop description and social links to get easily connected. Easily integrate various add-ons and enhance the functionality of your multi-vendor marketplace. Provide easy shopping and browsing experience to your customers, attract sellers and increase sales from your marketplace. Bagisto Multi-Vendor marketplace provides search engine friendly URL functionalities by allowing sellers to modify profile pages, collection and product page URLs. These SEF URLs prove to be easily understandable both by Google bots and customers. Download bagisto and be the part of community having experience of more than 9 years.